The LANIDgiga is an advance edition of Hobbes LANIDgiga with more capabilities. 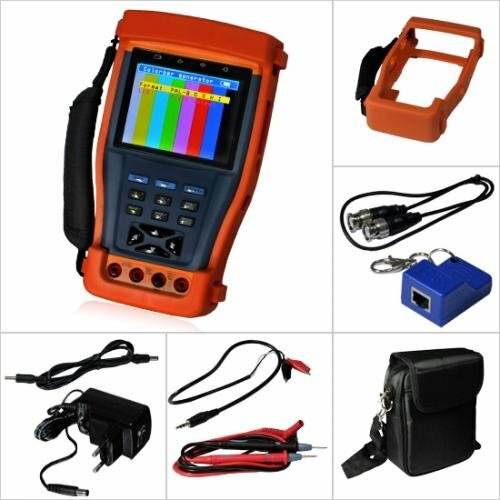 It is a high efficiency diagnostic tool for network installation and troubleshooting. With the LANIDgiga, network administrators can quickly confirm status of an active port. It will diagnose the problems during the LAN installation or maintenance on LAN devices or wall ports. 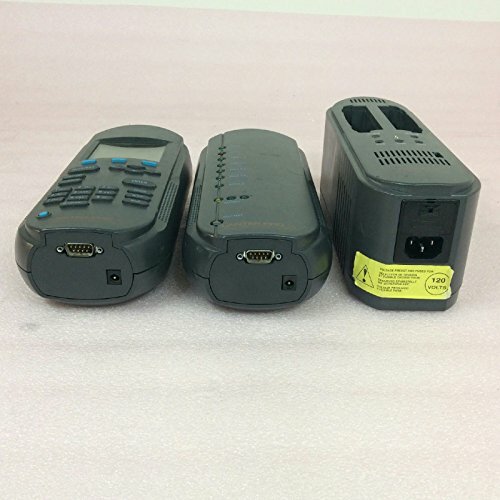 The unit indicates whether the LAN equipment being tested supports the following topologies and capabilities:• 1000 BASE–T full duplex• 10/100 auto negotiation• 100 BASE–Tx full duplex• 100 BASE–Tx half duplex• 10 BASE–T full duplex• 10 BASE–T half duplex The LANIDgiga is also equipped with a port-finder function. The port-finder feature sends discontinuity auto-negotiation signal 10/100/1000 to communicate and identify the corresponding socket/port on the hub/switch/router which helps to find out specific workstation. Furthermore, the LANIDgiga has integrated the POE function that identifies the existence of POE and the type of the PSE (power sourcing equipment) on the entire networks. 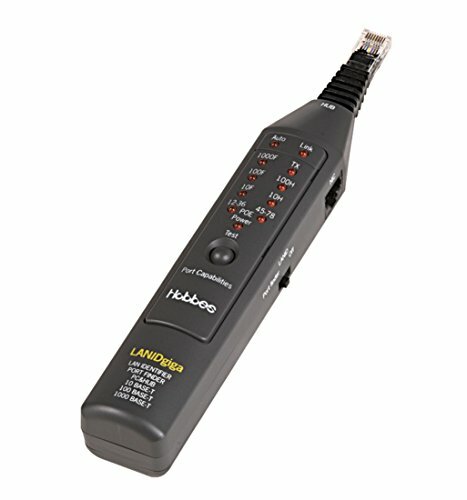 The LANDIDgiga is a high efficiency diagnostic tool for all your networking and troubleshooting needs. 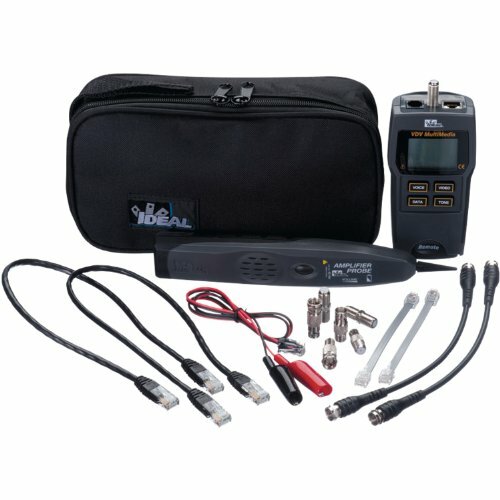 The IDEAL Test-Tone-Trace VDV Kit is an all-in-one testing solution for identifying wiring errors and locating cables in Voice/Data/Video (VDV) installations. 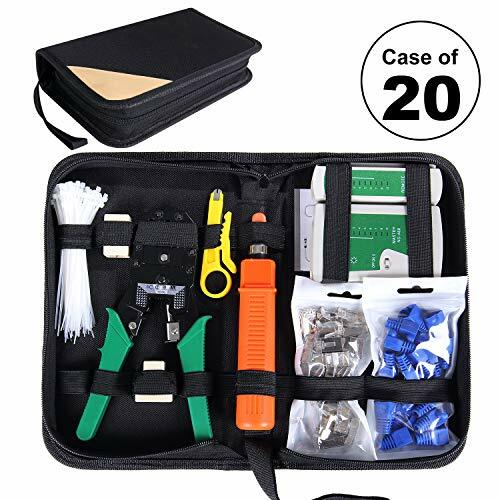 Designed for use in LAN, Telephone, Coaxial Video, Security, A/V, and other general coax or twisted pair applications, this kit performs the essential cable testing functions required by installers and system technicians. The VDV unit features an LCD screen to display Pass/Fail results and notification of wiring errors which require repair. The built in Tone Generator has 4 distinct tones that can be used to trace coax, RJ-45 and RJ-11 cables, plus any de-energized copper cable including speaker wires, alarm cables, and electrical wires. The Amplifier Probe detects tone signals generated from the VDV unit for cable identification and location. -PTZ control. Pan/tilts the P/T unit, zooms in/out the lens, adjusts the focus, aperture and sets and calls the preset position. -PTZ continuing rotate test. -Video displaying. Automatically adapts and displays the video format of NTSC/PAL. -Data analyst. -Cable testing. 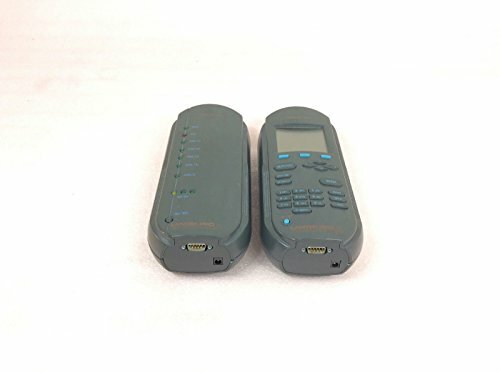 It is powerful in testing LAN cable, measureing the connecting status, displaying the sequence of connection and the NO. of the LAN cable. -Multi-interface and Multi-baud rate. Support RS232, RS485 interface, baud rate ranging from 150,600 to 19200bps. 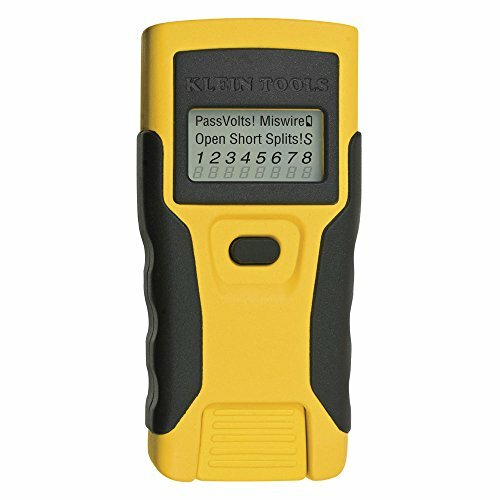 Looking for more Pro Lan Cable Tester similar ideas? Try to explore these searches: A-Line Dress History, Phonics Desk, and Gluten Free Raisin Bread. 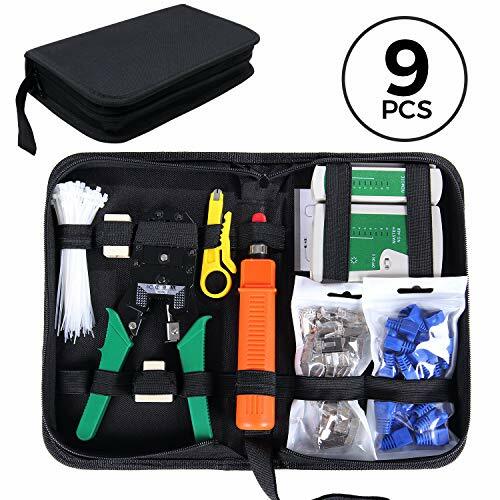 Look at latest related video about Pro Lan Cable Tester. Shopwizion.com is the smartest way for online shopping: compare prices of leading online shops for best deals around the web. 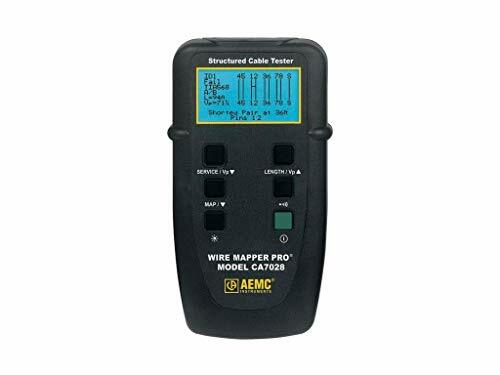 Don't miss TOP Pro Lan Cable Tester deals, updated daily.